The sixth house defines health, which is often an outcome of how the rhythm of the day is managed. It’s also the sphere of purification, through diet, spiritual practice, natural remedies and detoxing. The way you deal with physical limitations comes up in this house. It’s the house of the hard slog, the patient perseverance that eventually leads to an inner sense of accomplishment. The sixth house inherits Virgo’s restless need to juggle the parts to find wholeness, and the self-critical journey that can both harm and heal. 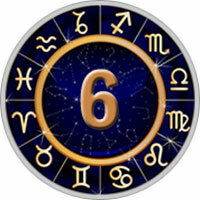 The Sixth House is ruled by Virgo and the planet Mercury.